The Provo Tabernacle was dedicated in 1898 by George Q. Cannon. It was the home to many cultural and religious events for the Church of Jesus Christ of Latter-day Saints until it was destroyed by fire December 17, 2010. On October 1, 2011 President Thomas S. Monson announced that the remains of the Provo Tabernacle would be used to build the Provo City Center Temple. LDS Temples provide great blessings of light and truth to many communities throughout the world. 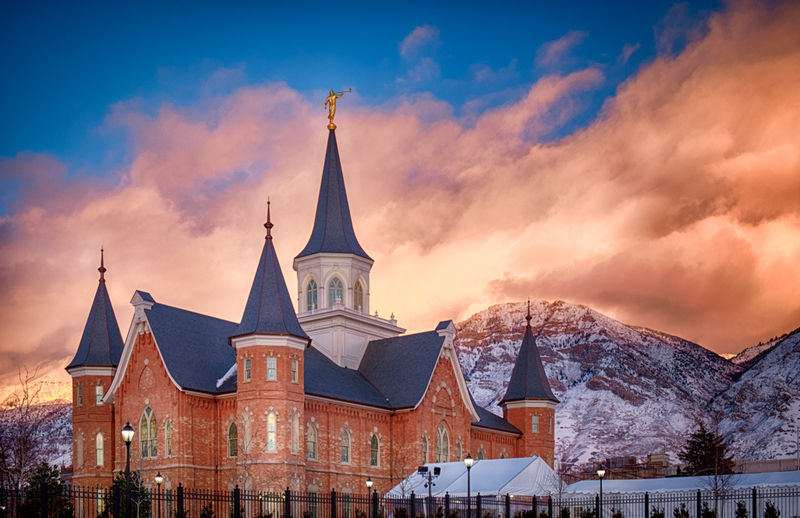 One of my favorite temples! A beautiful history, too.